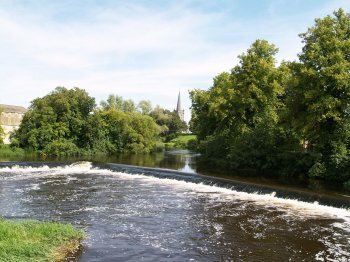 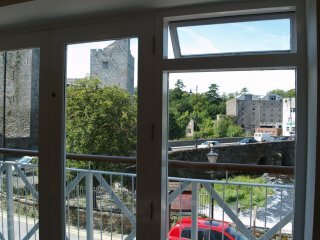 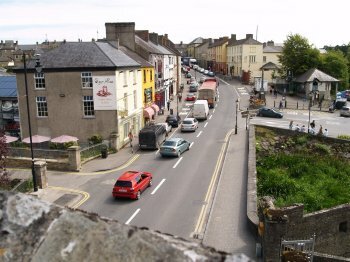 Cahir is a busy bustling market town on the beautiful River Suir with its weir near the castle. 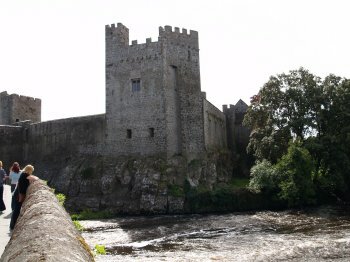 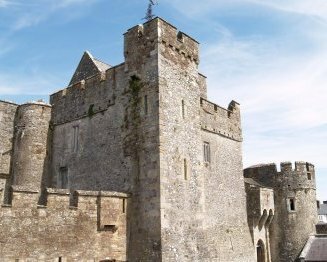 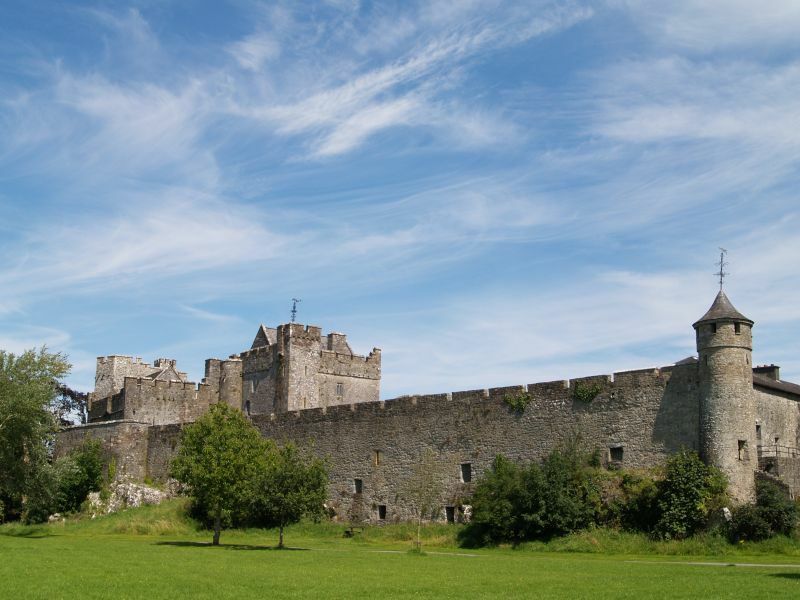 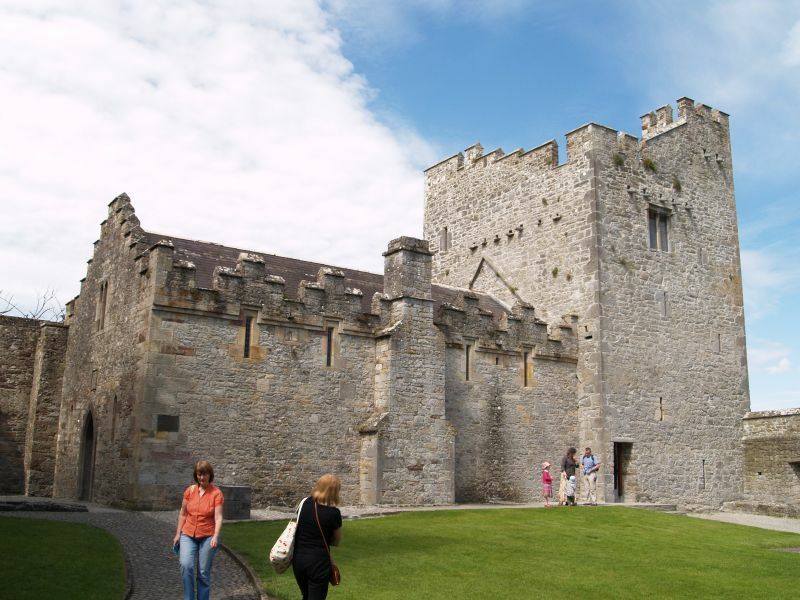 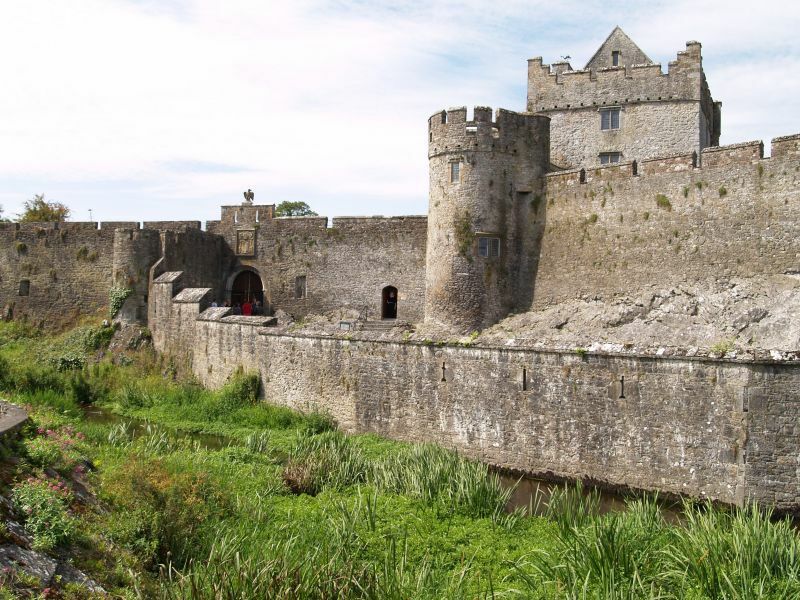 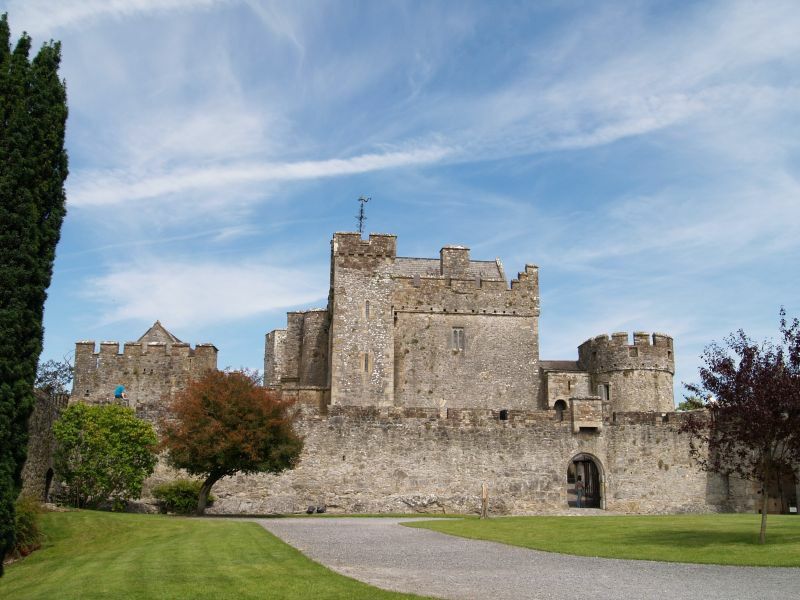 Cahir Castle is set on a rocky island in the River Suir. 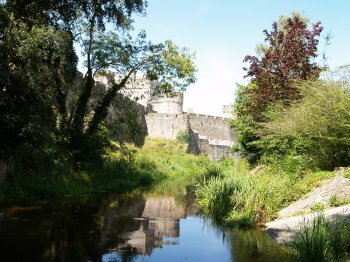 The river channels provide a great natural defence and the rocky base cannot be tunnelled into either! 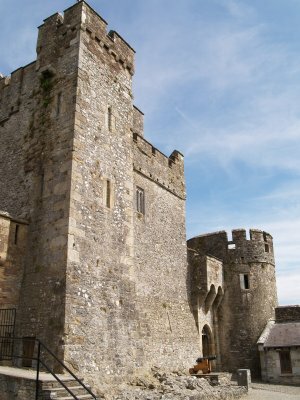 The entrance to this great to see castle. 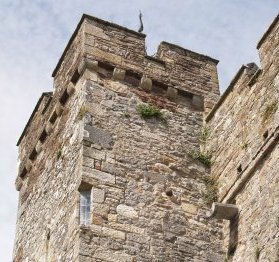 One of the towers of the main keep has a cannon ball (bottom of middle picture) lodged in it from a battle hundreds of years ago! 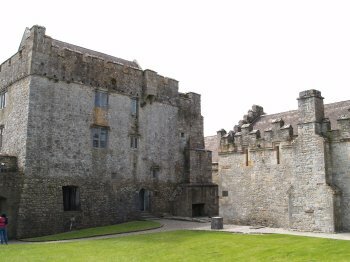 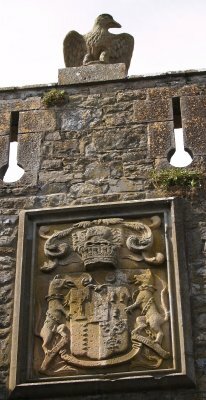 The coat of arms above the present outer entrance and the main multi-story keep with its entrance by the round tower. 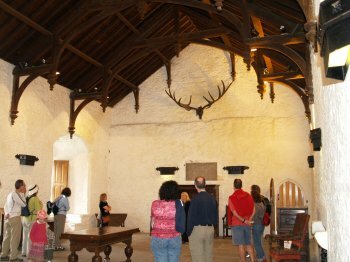 The banquet hall (right building in left picture) and its oak roofing timbers (right picture) from the 19th century restoration. 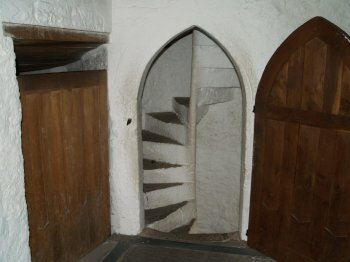 The spiral staircase in the main keep. 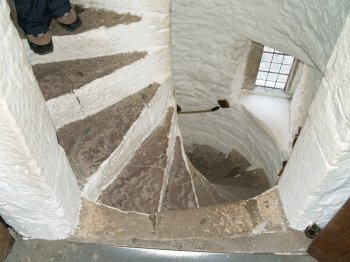 It spirals downwards anti-clockwise to enable a right handed knight the advantage against an attacker trying to come up. 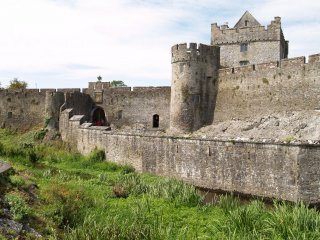 View of Cahir Castle from the River Suir walk on the island. 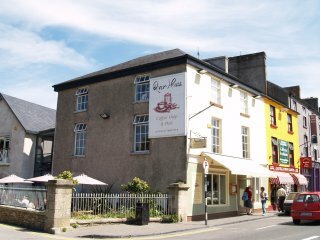 Cahir Town and Castle, County Tipperary, Ireland: The River House Coffee Shop and Deli, Cahir Town, County Tipperary, Ireland, provides excellent budget food and is just across the road from the well worth visiting Cahir Castle set on a rocky island in the River Suir with good car parking for tourists across the road.